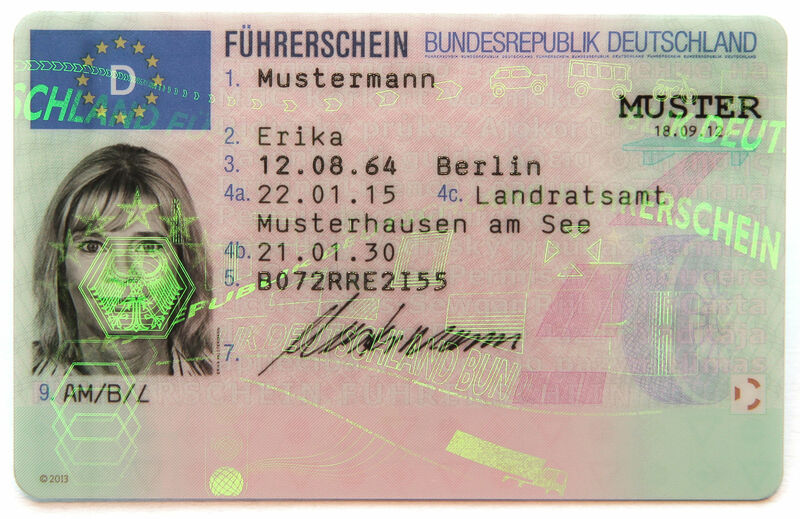 A Führerschein (driving license/ licence in German) is an official document permitting a specific individual to operate one or more types of motorized vehicles in the EU/EEA and some other countries. Driving in Germany is fun. This post gives information for obtaining a new German driving license for anyone living in Germany (EU citizen or from outside). 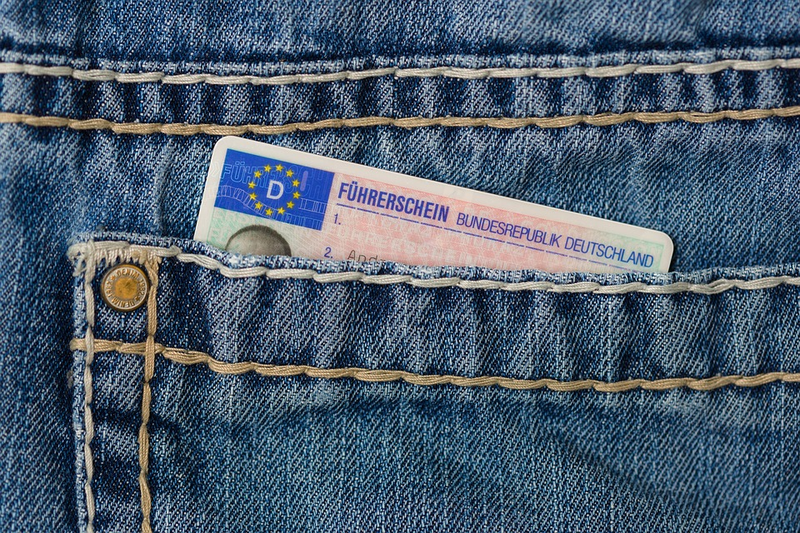 In case if you already possess a foreign driving license and want to convert it to a German license, then read this post: How to convert an existing driving license to a German driving license? 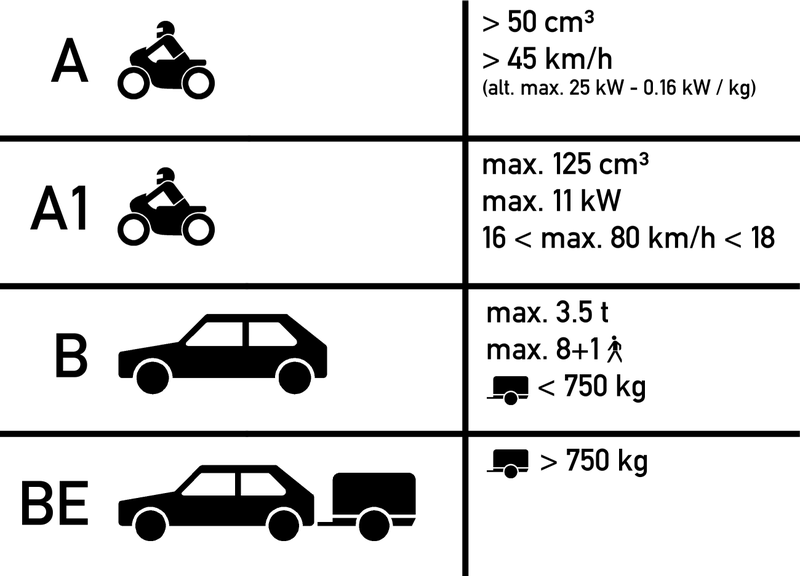 The main categories of the driving license in Germany are shown in the table below. A full list of all driving license categories can be read here. In this post, I will write about the process of obtaining a driving license (PKW-Führerschein) for categories B (but, the process remains similar categories A, A1, and BE). 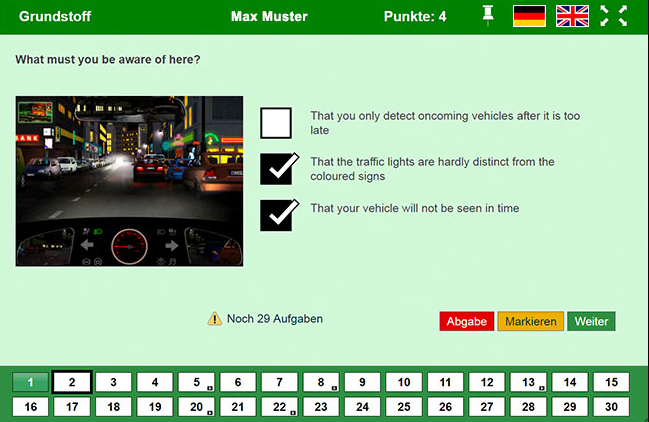 Find a good driving school in your neighborhood (Fahrschule) and register there. (Before registering, make sure to ask for reviews of the driving school from family/friends or have a look online). The driving school should provide you with a letter confirming your registration. 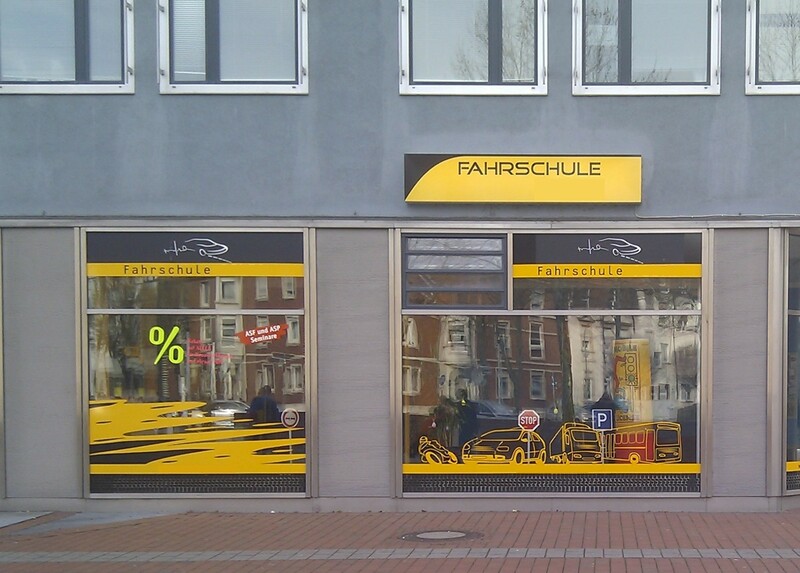 Theory lessons are offered by the Fahrschule – 14 lessons are mandatory (12 in Grundstoff and 2 in Zusatzstoff). Each theory lesson is 90 minutes long. You can find some study material in English, for example, Führerschein Klasse B/BE (Auto) ENGLISCH or via websites like My Fuehrerschein or Fuehrerschein Bestehen or via some Android/Apple apps (search for “Führerschein” in Google Play Store or Apple App store). You may also be able to buy a training book or DVD from the driving school (but the English ones are usually overpriced and not recommended). In the end, you should be able to answer questions from Question bank available in the above-mentioned books/sites/Apps. The question bank (fragebogen) consists of around 1000~1100 multiple choice questions. Some question includes a picture or a video as well. Attending a first aid course is mandatory for obtaining a driving license in Germany. First aid courses are offered by Deutsches Rotes Kreuz, MAUS, Malteser, ASB, etc. First aid course can be done in parallel with the theory classes. You can attend the course with some basic knowledge of the German language. In some bigger cities, courses are offered in English as well. A typical first aid course can be completed within a day (9 lectures of 45 minutes each + breaks ~ 7-8 hours). The lessons rely more on practical aspects rather than theory. Most institutes offer first aid course on Saturdays as well; this is convenient for those working full time. After successful completion of the first aid course, you will be provided with a certificate, that you will need to register for the practical exam. An eye examination is also mandatory and can be done in parallel with the theory classes for driving in Germany. The eye test must be carried out by an officially recognized eye test center. These include Optometrists, ophthalmologists or the doctor of the health department if they have the necessary qualifications and examination equipment. Institutes like MAUS offer an eye test at the same center where they conduct the first aid course. Note: If you pass an eye test without glasses, then you can also drive without them as well. If you passed the test with glasses then you will have to do the practical exam with glasses, and your license will have number 01 which means „driver uses eye help = glasses or lenses“. 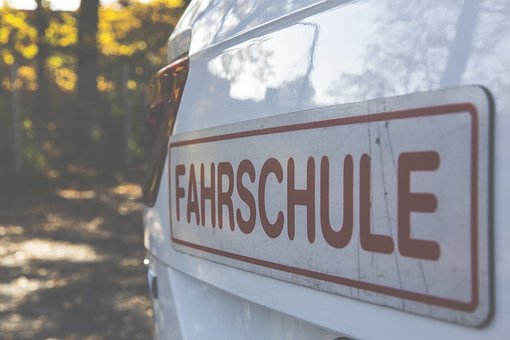 After successful registration at the Führerscheinstelle, you should receive a letter from them within 4-6 weeks confirming your registration and asking you to pay the fees for the theory and practical exam. Once you have received the letter from Führerscheinstelle mentioned in point 6 and paid the fees for the theory exam mentioned in that letter, you can request your driving school to book an appointment for theory exam on your behalf. They may charge you Eur 40~80 to book an appointment. On the day of the theory exam, either a driving school teacher will drive you to the exam center or you will have to reach there on your own. If you have to reach there on your own, make sure to arrive 15 minutes before the allotted time. During the exam, you will be assigned a computer. You can take the theory test in 12 different languages: German, English, French, Greek, Italian, Polish, Portuguese, Romanian, Russian, Croatian, Spanish, Turkish and Arabic (only in some federal states). Make sure to inform the examiner the language you want to take the exam in. 12 practical lessons are mandatory. I have a couple of friends who didn’t pass the practical exam in the first attempt. So my recommendation is to take more than the mandatory number of lessons to get used to the German way of driving before taking the driving exam. Driving school cars are equipped with dual controls so that the instructor can take over any time the student gets into serious trouble. I strongly suggest to follow the advice of the driving school instructor and not take the practical exam lightly. The driving examiners are very strict and even missing a couple of “Schulterblick” can cost you the driving license (depending on the mood of the examiner). An advantage of taking more lessons is that you will be able to get used to German vocabulary that the examiner may use during the course of the exam. Most examiners will refrain from using English during the practical exam. Usually, one driving lesson is 45 minutes long. Most instructors tend to take double lessons at a time, that is, 90 min at a stretch. Make sure to not only take extra driving lessons in the city but also on Autobahn and countryside streets. They may cost a little bit more, however, they are an advantage in the long run (by preventing a second attempt at the practical exam). Also practice parking (parallel and box), emergency braking (Gefahrenbremsung) and three-point turning (Wenden in drei Zügen). 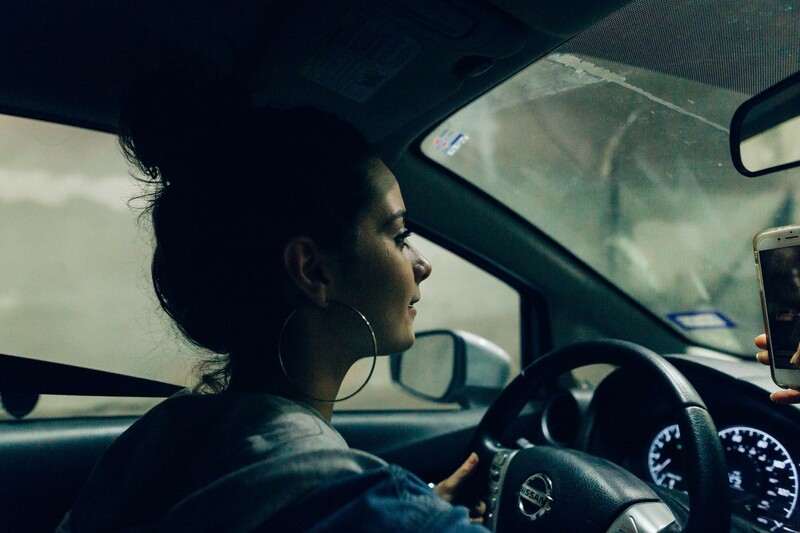 Once you feel you have taken enough lessons and/or your driving instructor is convinced that you can pass the exam, pay the practical exam fee and request your instructor to schedule an appoint for the exam. The driving school may charge an additional fee of Eur 80~160 for the practical exam. Carry your passport with you (it may be checked by the examiner). As soon as you enter the car, make sure to wear the seat-belt and make the initial adjustments (seat position, mirrors, etc.). Your driving instructor will be sitting next to you (but he will not give you any instructions today. He is only there to act during emergencies). During the exam you will have to drive the route requested by the examiner (this doesn’t mean you don’t have to follow the driving rules; if the examiner tells you to enter a “no entry”, you can ignore him; it’s a test to see if you are aware of the driving rules). Parallel and/or box parking (Make sure to check all the mirrors at appropriate times. The examiners really like it when you check the mirrors correctly). Emergency braking – when at 30 Km/h (Usually, you would be in an empty street at this time. Brake as fast as possible without the car turning off: brake + clutch). Making a three-point turn (Make sure to check all the mirrors at appropriate times). Drive on Landesstraße (Don’t exceed the speed limit. But, do not drive much slower than the speed limit when the driving conditions allow it). Drive on Autobahn (Enter the autobahn at a decent speed. Drive 120-130 Km/h if the traffic condition and speed limits allow for it). Hint: Don’t forget “Schulterblick”, “rechts vor links” and checking mirrors where appropriate. The practical exam will last around 45 minutes. At the end of the exam, you will get the result and feedback from the examiner (usually a list of mistakes). If you did well enough, you should receive the Führerschein immediately. The whole process is expensive and time-consuming. It can be easily done in 3-4 months if you are consistent and work hard. 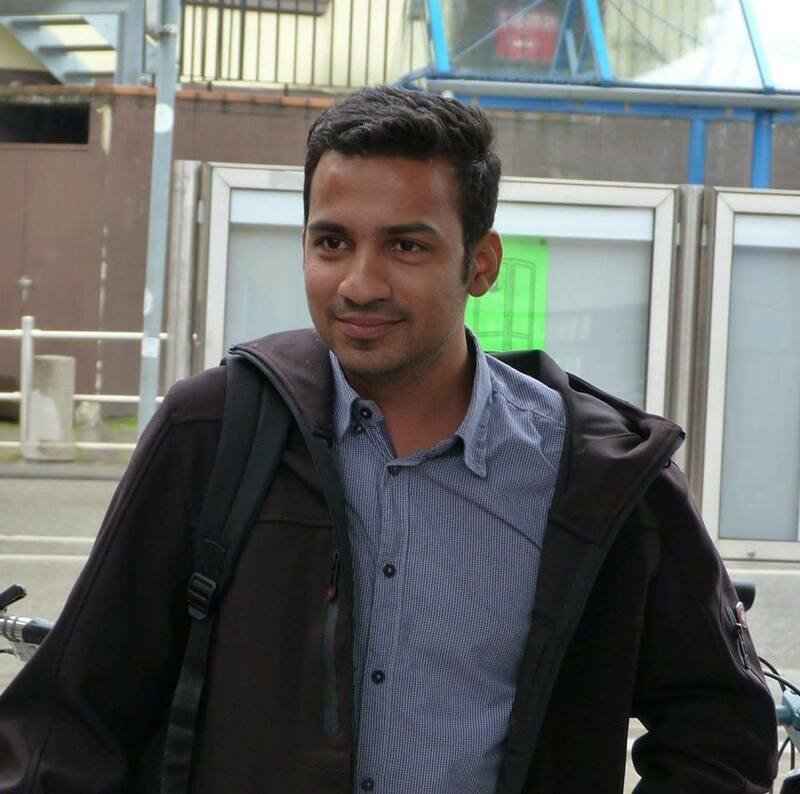 We would suggest to keep aside a minimum budget of around Euro 2000 (including learning materials). If you are lucky or skilled, you will be able to do it a little cheaper. The cost breakdown for obtaining a German driving license is mentioned at the end of this post. However, this all will pay off. Driving in Germany is one of the best aspect of living in Germany. If you found this post interesting, read my post about The cost of owning a car in Germany. Subscribe below to get notified about my next post on car insurance. 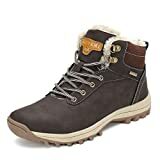 class="post-template-default single single-post postid-1237 single-format-standard samba_theme samba_left_nav samba_left_align samba_responsive wpb-js-composer js-comp-ver-5.4.5 vc_responsive"